I am extremely proud that I worked for God Is An Astronaut new album "Epitaph" cover art. It was a very nice experience to work with the Irish Post Rock band. 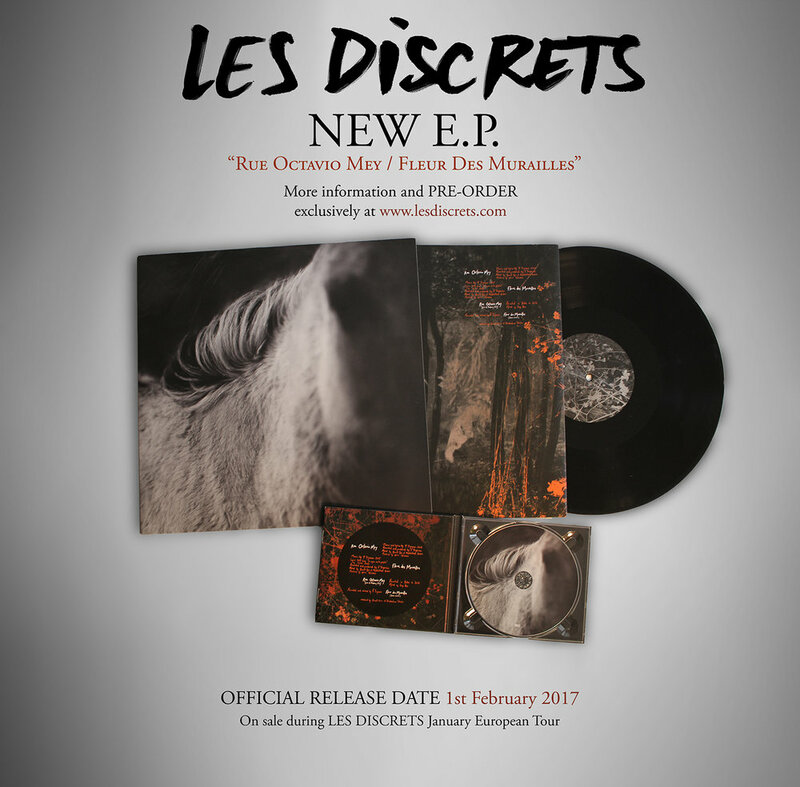 NEW LES DISCRETS EP available on PREORDER!! NEW LES DISCRETS EP available on PREORDER!! 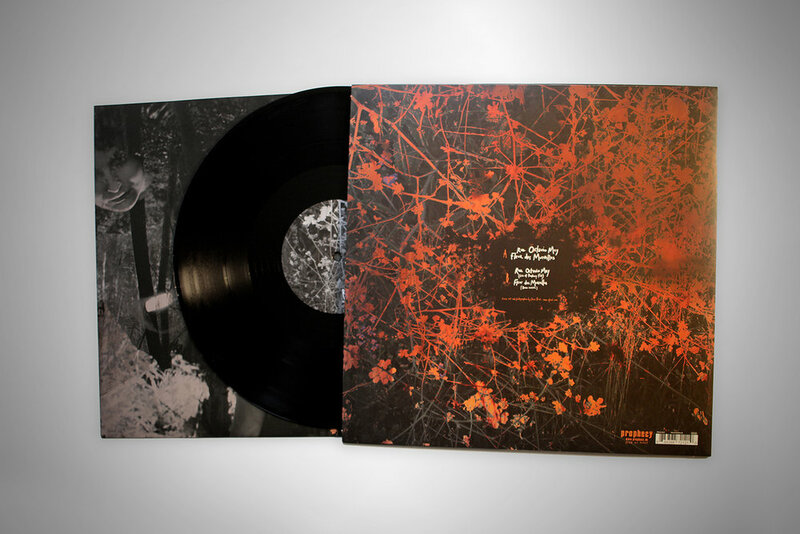 "Rue Octavio Mey / Fleur Des Murailles EP"
We're delighted to launch the preorder of our new EP. The band has its exclusivity until further notice so here (and on our January tour / shows) is the only place to get it in your hands! 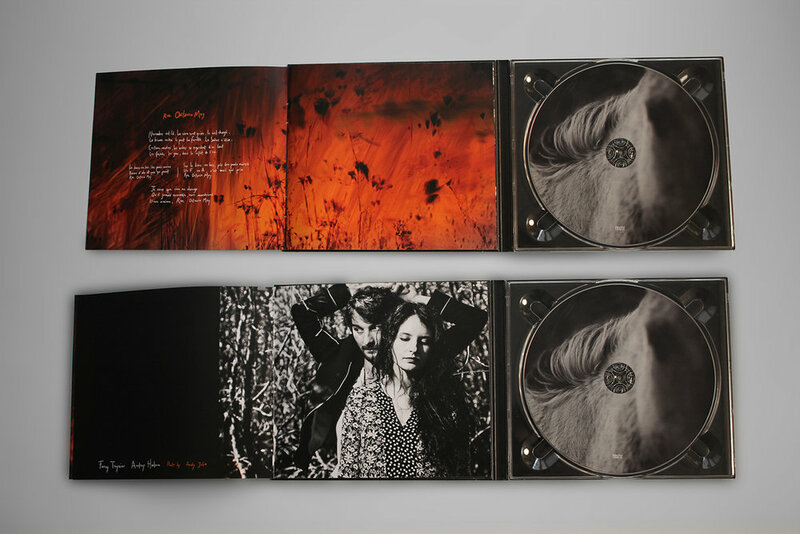 It's available in both Vinyl and Digipak (all include lyrics) and an option to order them both at reduced price. A band can only do music if they fans support them, so thank you so much for your support. LES DISCRETS Release a new song and new EP "Rue Octavio Mey / Fleur des Murailles"
It's with great excitement that we release a new song called 'Rue Octavio Mey'. That's not an album version, it's a live performance filmed and played at Prophecy Fest 2016. We decided to release it in its live version as in the meantime we announce the first Les Discrets headlining tour! It's such big step for a band to be able to tour on its own. So I am two times an happy man!! I'm very excited because during the tour we'll be able to perform songs from the upcoming 3rd album 'Prédateurs' (as well as old songs!) and then get some direct feedbacks after such a long time and long work. This tour will also be an opportunity for us to release and sell a brand new EP called 'Rue Octavio Mey / Fleur Des Murailles' consisting of two new songs taken from the next album as well as two extra tracks. This EP will be only sold by the band at first and later worldwide through the classic channels and distributors. Visit FACEBOOK for tickets preorder. So excited to tour in a few weeks promoting the new LES DISCRETS album!! "Virée Nocturne" EP Out and MUSIC VIDEO! The 4-track EP "Virée Nocturne" heralds Les Discrets' third album "Prédateurs" (due out in early 2017). 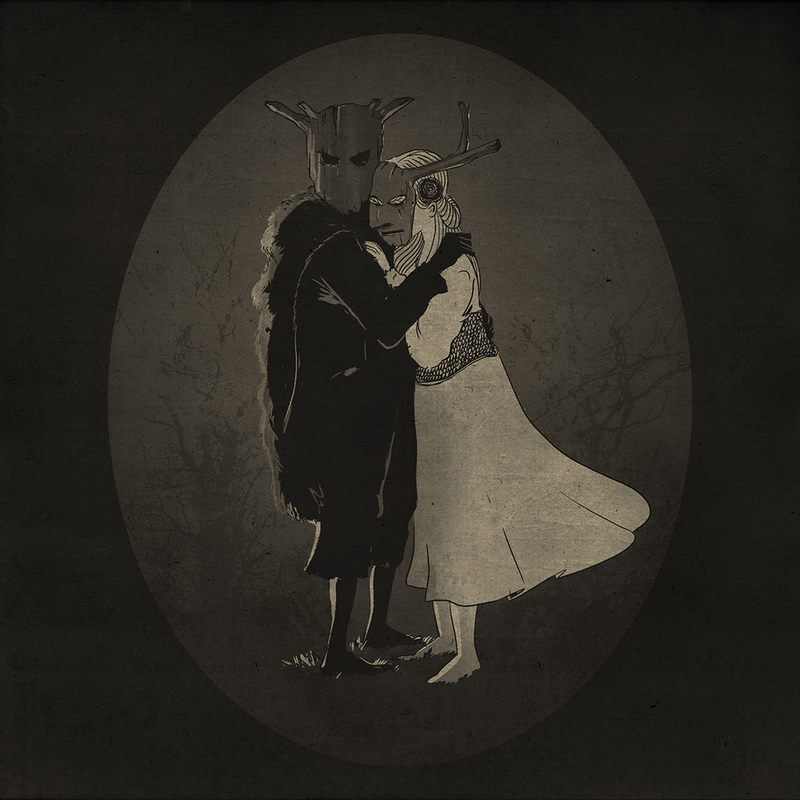 Four years after the last studio effort, "Ariettes Oubliées", Fursy Teyssier departs from his blend of atmospheric metal and post rock, influenced by such artists as Agalloch, Anathema or early Ulver, and returns with a reinvention of Les Discrets. 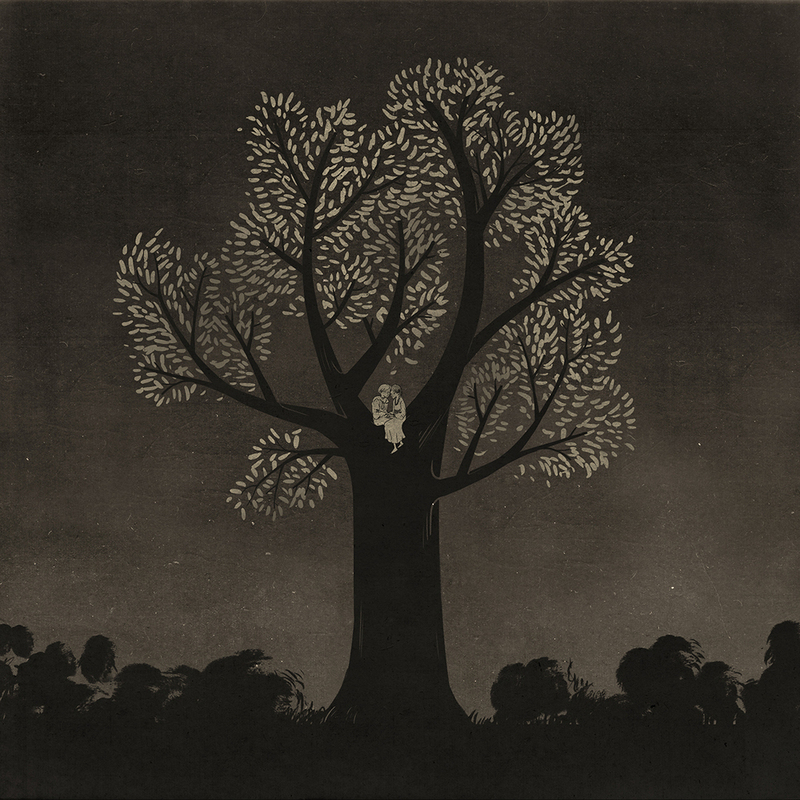 Drawing inspiration from acts like Portishead, Massive Attack, Lana Del Rey, Pink Floyd or Blonde Redhead, he keeps his musical core with a calmer version of Les Discrets, maintaining the inherent the melancholy and melodics. "Virée Nocturne" is not only a new start in terms of music, but also on the visual level. For the first time, Teyssier collaborates with another graphic designer on the visual appearance of a Les Discrets release. The British artist Chris Friel combines painting with photography in a unique way, a huge inspiration for Teyssier and even the guideline for the music. Besides the title track that will also be featured on "Prédateurs", the EP features the exclusive song "Capricorni. Virginis. Corvi", a demo version of another new song ("Le Reproche") and a remix of "Virée Noturne" by progressive hip hop artist Dälek. Serie of illustrations for the band HEXVESSEL (Finland) . To be featured in a beautiful artbook with a lot of content. I draw one illustration per song. That was super nice and the album sounds great! • SHOP: One new original drawing in the shop and the MAKING OF it in video. • SHOP: Two new original drawings in the shop. Original drawing. "Sibblings" Charcoal and chalk. Daler & Rowney paper. 200g/m2. Fine grain. Heavy Weight. • A glimpse of LES DISCRETS next album. This song below was basically supposed to be part of a side project SAINPAUL, but I decided that the songs of it would be LES DISCRETS third album, which is almost fully composed. I'm going to record it in January and February.